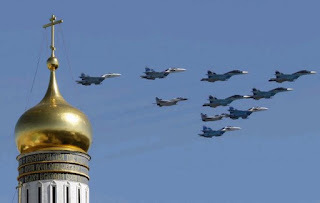 Almost all the pilots who will take part in the upcoming Victory Day parade, have participated in the Syrian operation, Russian Aerospace Forces Commander Colonel General Viktor Bondarev said in an interview with the Rossiya 24 TV channel. Des milliers d'Australiens et de Néo-Zélandais ont assisté mardi aux cérémonies du souvenir de la bataille de Gallipoli à l'occasion de l'"Anzac Day" et rendu hommage aux soldats engagés en Irak et en Afghanistan. Australia said it had received information that terrorists may be planning to attack a World War I commemoration service at Gallipoli in Turkey later in the month. Under a cloudy, wintry sky, the French tricolor was displayed outside public buildings and homes on Friday. Government officials, politicians from left and right camps and leaders of different religious groups gathered at the military museum Les Invalides to pay tribute to the 130 people killed during the Nov. 13 terrorist attacks. UNITED NATIONS—The Mission of the Republic of Armenia to the United Nations lead an effort for the body’s General Assembly to pass resolution Friday proclaiming December 9 as the annual “International Day of Commemoration and Dignity of the Victims of the Crime of Genocide and of the Prevention of this Crime.” The resolution, adopted by consensus, had the support of over 80 member countries, including the United States.